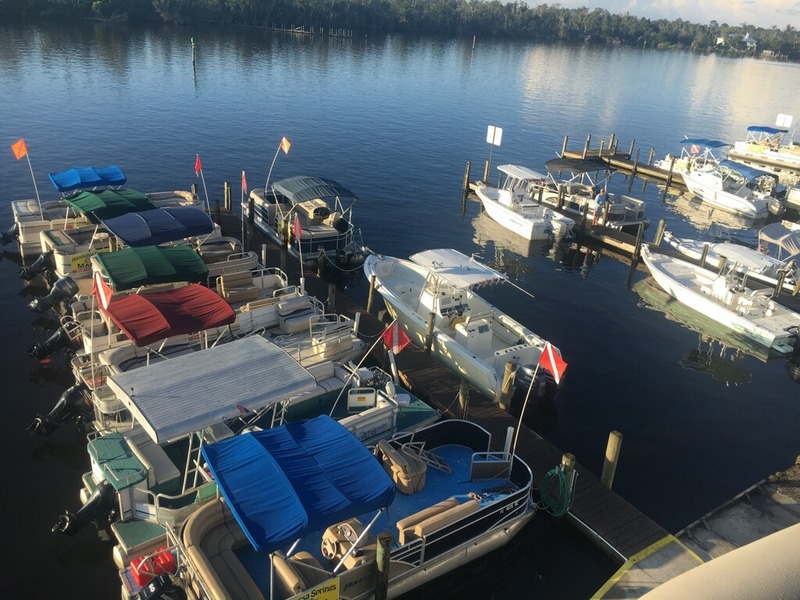 Pontoon Boat Rentals for those who want to fish, cruise, go swimming with manatees or scalloping in the summer. High and dry boat storage to elimate the hassle of trailering and launching at the ramp. Your boat is ready when you need it. Outboard engine repair and service. Bring your boat in for Preventative Maintenance, Warranty Repairs, Insurance Claims and used Boat Surveys. 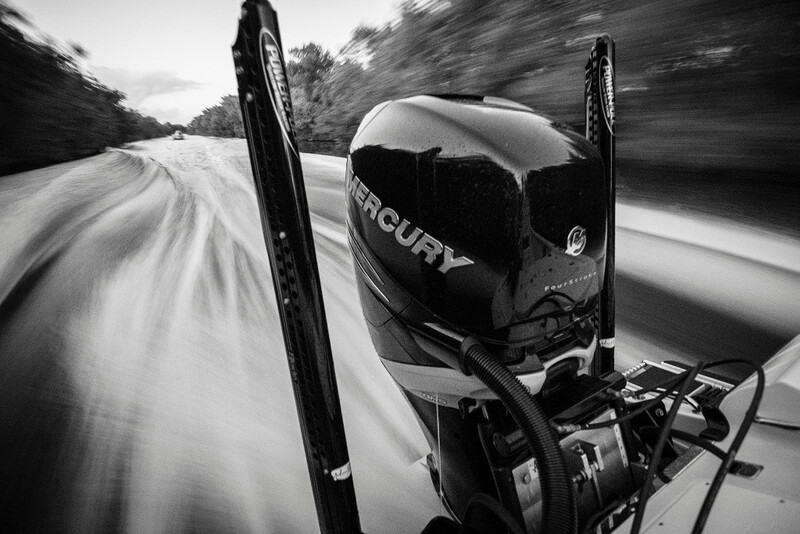 We service Mercury, Suzuki, Yamaha and Evinrude outboard motors. 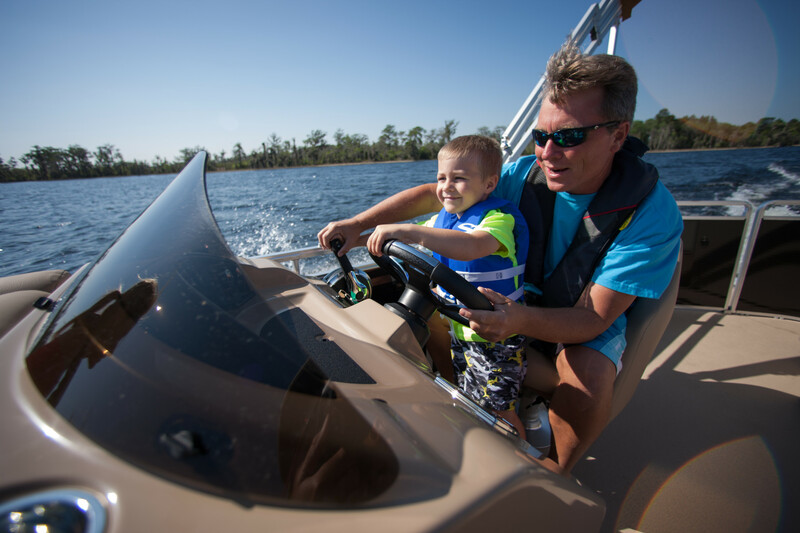 Repower and add new life to your boat with a new outboard engine. 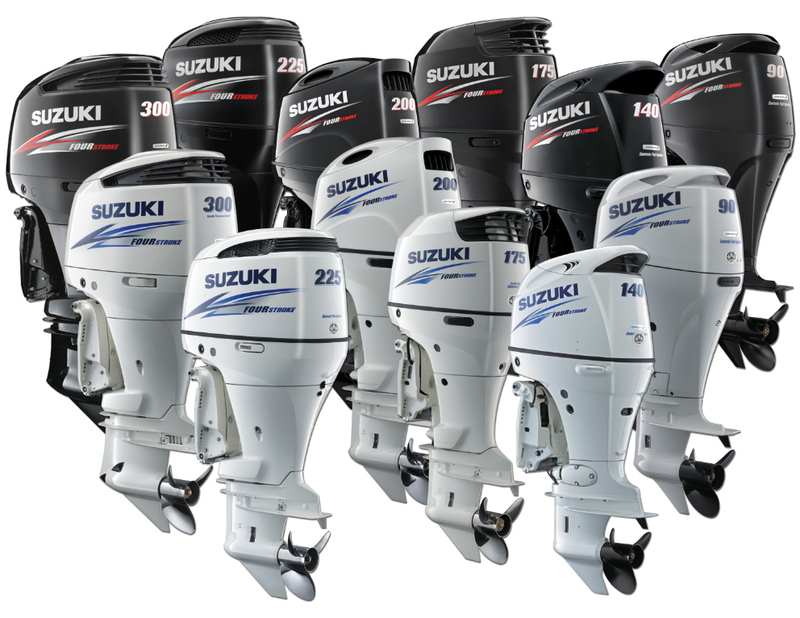 We sell Mercury and Suzuki outboards. Buy your Power Pole Shallow Water Anchor here for a custom installation. We are a certified Warranty Center and will service or repair your existing Power Pole. 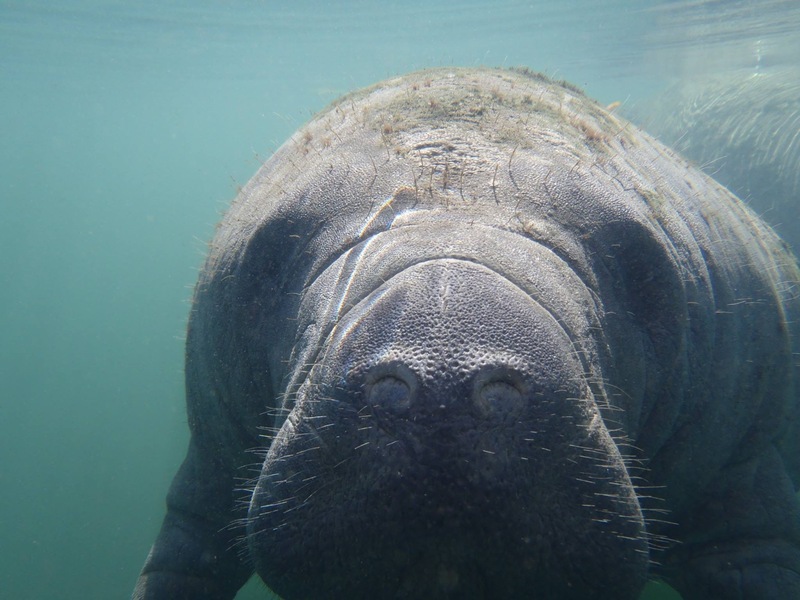 Schedule a Manatee Tour so that you can swim the the manatees and interact with them underwater in their world. 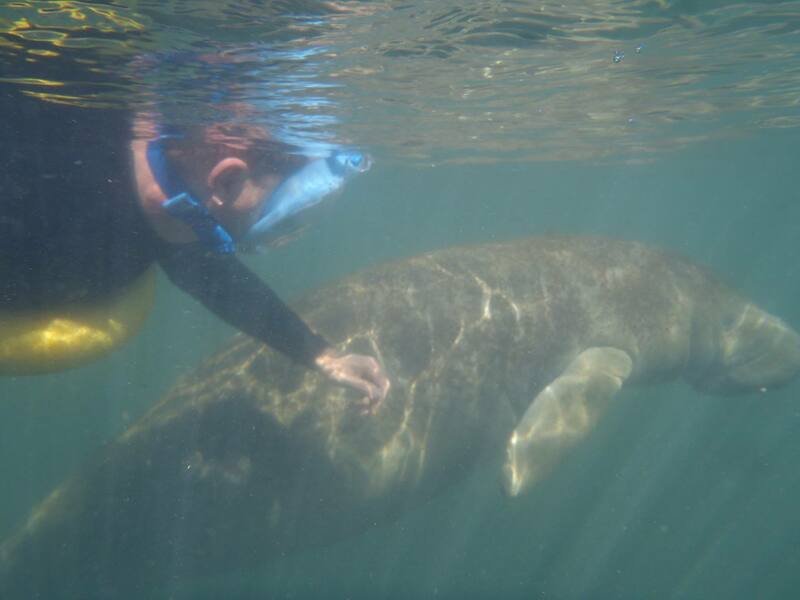 The Nature Ciast is the only place where you can touch manatees. Charter a private scalloping trip to be driven to where the scallops are and shown how to find them. You have the fun while the captain does the work. Charter and Inshore Fishing Trip to catch Redfish, Snook and Trout. 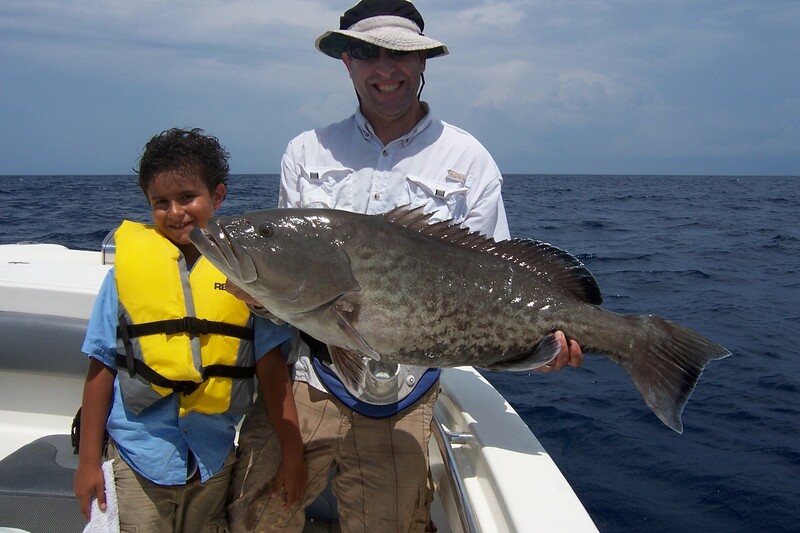 Take an Offshore Fishing Charter to catch Grouper, Snapper, Amberjack, Kingfish and Cobia. 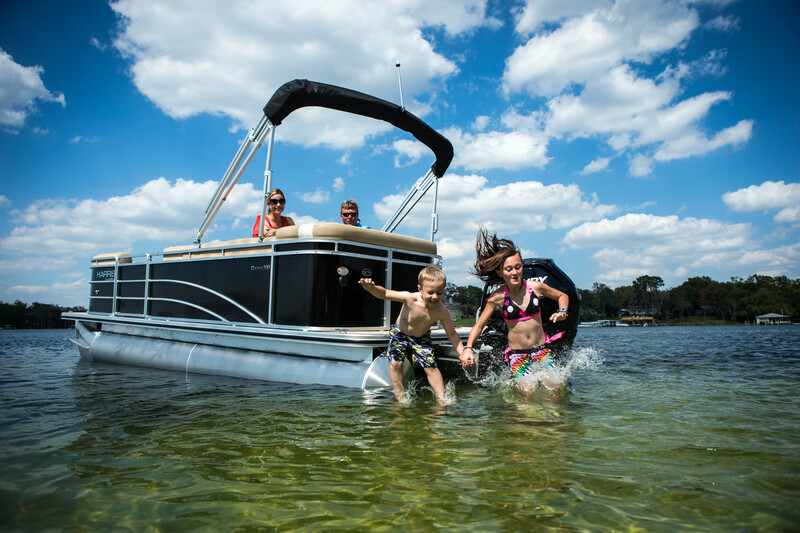 With our boats you can go scalloping, fishing or swim with the manatee. Children and dogs are welcome on our boats and we have special life jackets for them both. We maintain 2 wheelchair capable boats and will accommodate special requirements. Our waters are home to gentle manatees in the winter months and scallops in the summer months. The waters are shallow and easy for swimmers of all levels and ages. Enjoy the underwater world which is accessible from one of our rental boats. Scallop season starts in July and runs through the summer with thousands of people diving for scallops–it’s one of our busiest and most-exciting times! Scalloping can be enjoyed by children and adults–if you can swim you can scallop. Read our Guide: How to Scallop Homosassa Springs. The manatees start coming up the River to bathe in the Springs when the outside water temperature starts to drop and the 72 degree water of the Springs is the warmest they can find. These beautiful creatures are inquisitive and often like to interact with people which gives you the opportunity to get up close and personal with them. The Springs is an easy 15 minute boat ride from the marina and you can swim with the manatee from one of our rental boats. Fishing opportunities abound in our waters. 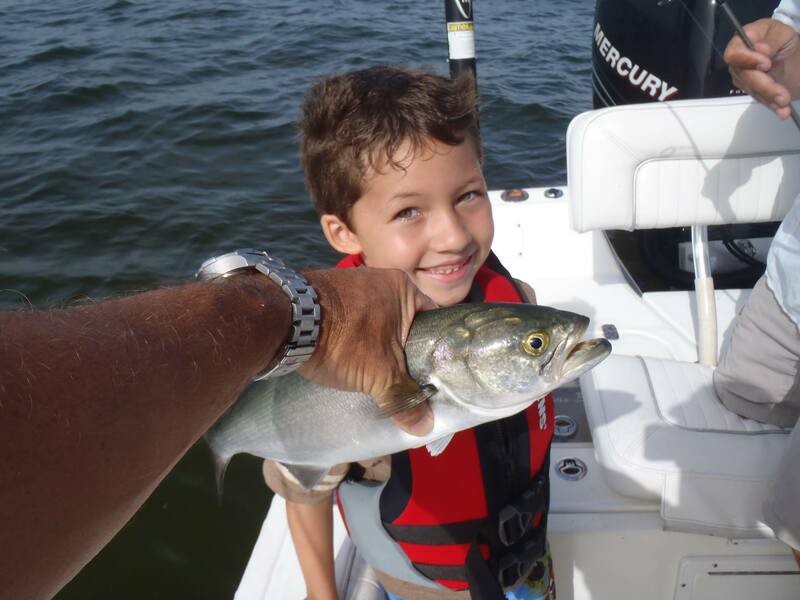 Inshore species include redfish, snook, trout, tarpon, ladyfish, snapper, bass, jack crevalle, shark and spanish mackeral. Rent a boat from us and take an inshore fishing trip. Store your boat in our high and dry storage racks and last minute decisions to enjoy a beautiful day on the water are easily made. When all you have to do is hop on the boat and go, there really is such a thing as an enjoyable and easy 2 hour outing. High and Dry Boat storage gets you on the water and where you’re going faster and easier than trailering. No need to worry about being the day’s entertainment at the boat ramp or fighting with your spouse. We have your boat rinsed and waiting for you at the dock. At the end of the day all you need to do is get to the dock and we do the rest. 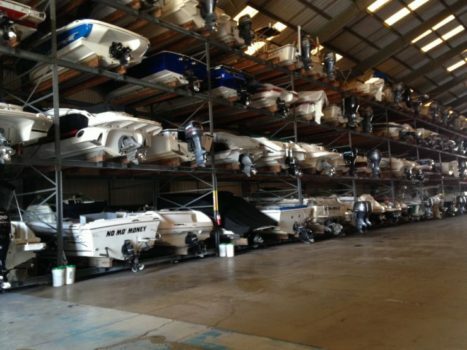 We store boats up to 30 feet long and can accomodate multi engine and T Top boats. We offer wet slips during the winter months. Do you like to fish? 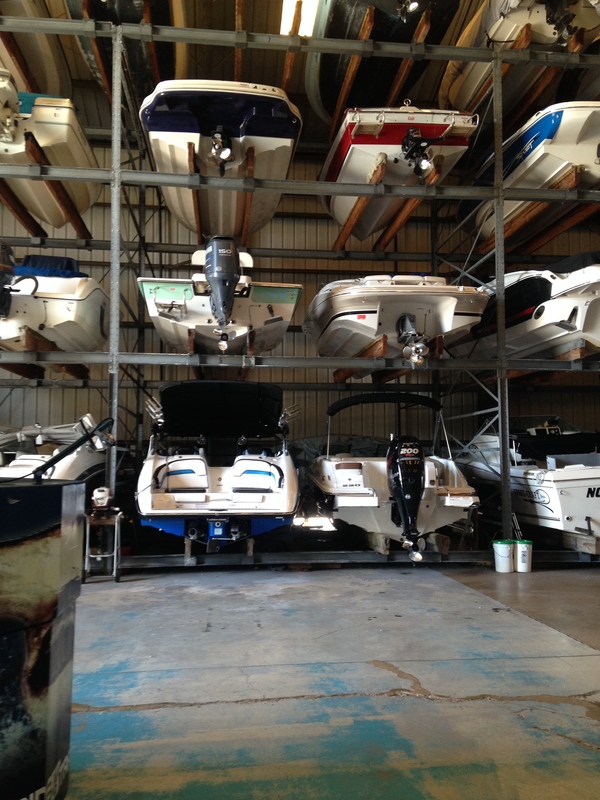 Your boat is stored 1 mile from the Springs and 6 miles from the Gulf of Mexico. In 15 minutes you can fish the Salt River, Mason’s Creek, Hall’s River or the Little Homosassa for the best inshore fishing on the Nature Coast. For those who like to dine on the water, there are 6 waterfront restaurants within a 10 minute boat ride. Some of our customers like to pack a picnic lunch and anchor up the the Spring or a nearby island and enjoy dining on the hook. Storage Customers receive head of the line privileges with our service department as well as membership in our fuel club. 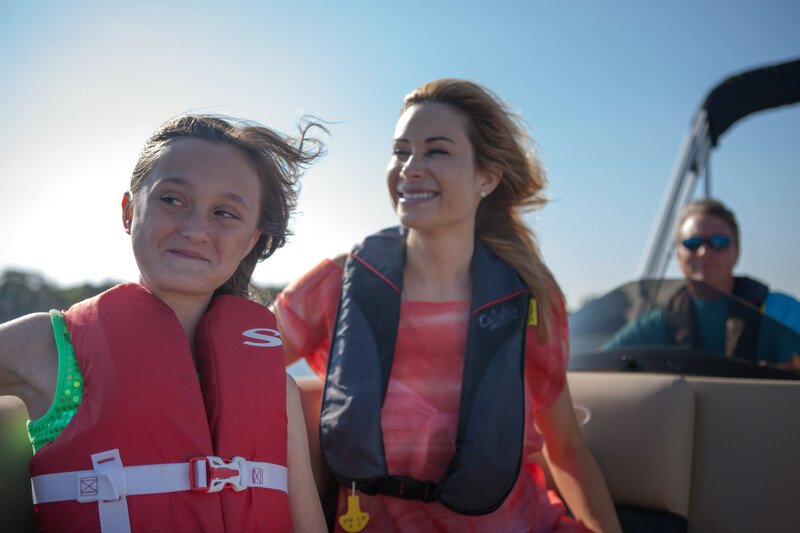 We do everything we can to minimize the inconveniences other boaters experience allowing you to enjoy the most time on your boat without headaches. Folks on the river need their boat serviced or repaired but don’t have a trailer. We can haul out boats up to 32 feet long and repair them on site. You might have a stereo that stopped working; an engine that doesn’t start or one that idles fine but has lost its power; bilge pumps and live well pumps are notorious for going bad; your steering is stiff or worse, you can’t steer; new batteries installed yesterday seem to go bad overnight with a parasitic load somewhere in your electrical system; your little nephew thought he’d help with the anchor but dropped it square on the deck and took out a chunk of fiberglass. Let us repair these everyday problems. Buy your Power Pole shallow water anchors, new GPS units, stereos and VHF radios from us and have us install them. 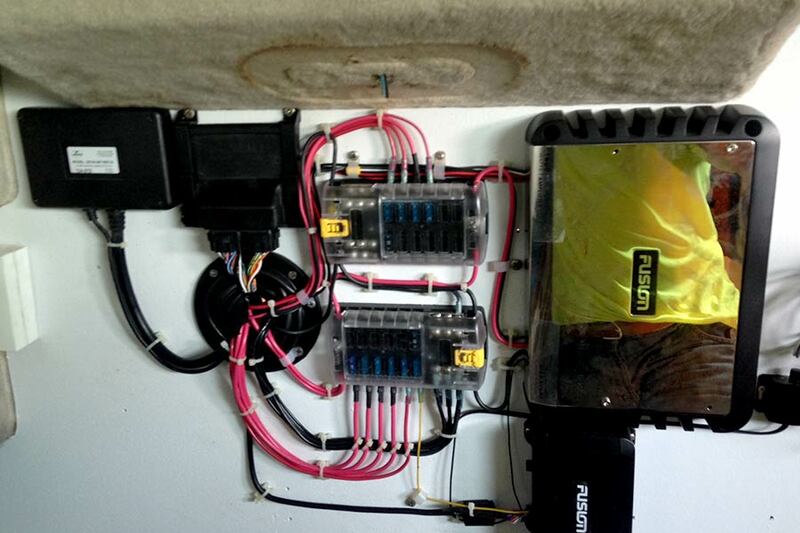 Installing new electronics and appliances on your boat will make your time on the water easier and more fun. We invest in the ongoing training of our technicians and send each of them to factory schools. We are a Mercury Warranty Center, Suzuki Warranty Center and Power Pole Warranty Center. 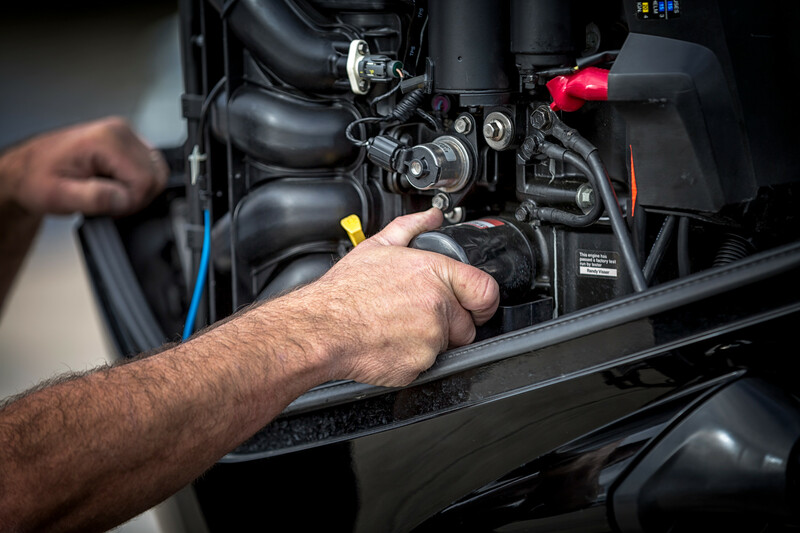 We use specialized diagnostic software and tools to pinpoint the exact cause of your problem and use new OEM parts to repair your boat. We service and repair Mercury, Suzuki, Yamaha and Evinrude outboard engines. Many customers don’t realize that some damage to your boat may be eligible for an insurance claim. Hitting bottom and destroying your lower unit is usually considered a collision and is covered by most insurance policies. Dealing with insurance companies is something very few of us do in a lifetime; we communicate and work with the adjusters to make sure you are reimbursed for everything your policy should cover. Thinking about buying a used boat but don't know if it has hidden problems? Bring it to us BEFORE you buy it for us to survey the engine, electronics and appliances so you know what you're getting yourself into. Bottom painting is nasty business but it needs to be done if you leave your boat in salt water. 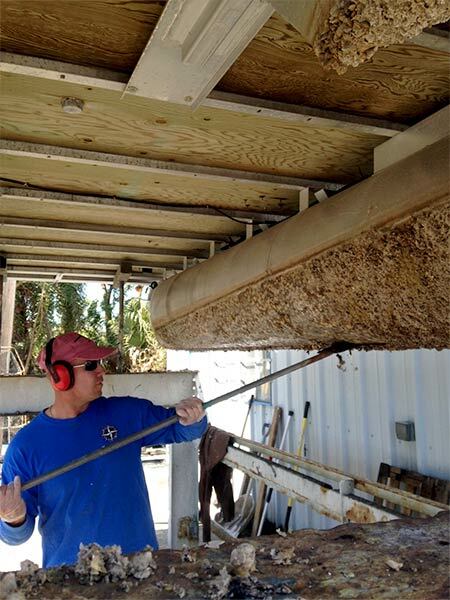 We've seen new pontoon boats sink because of barnacle growth that occurred in only 2 weeks and performance boats lose all their speed because of the layer of growth on their hulls. We are a Certified Application Center for Pettit Paints and use their products to protect your boat from growth. We are familiar with the different requirements for protecting aluminum vs fiberglass hulls. Buy your Mercury or Suzuki outboard engine from us. 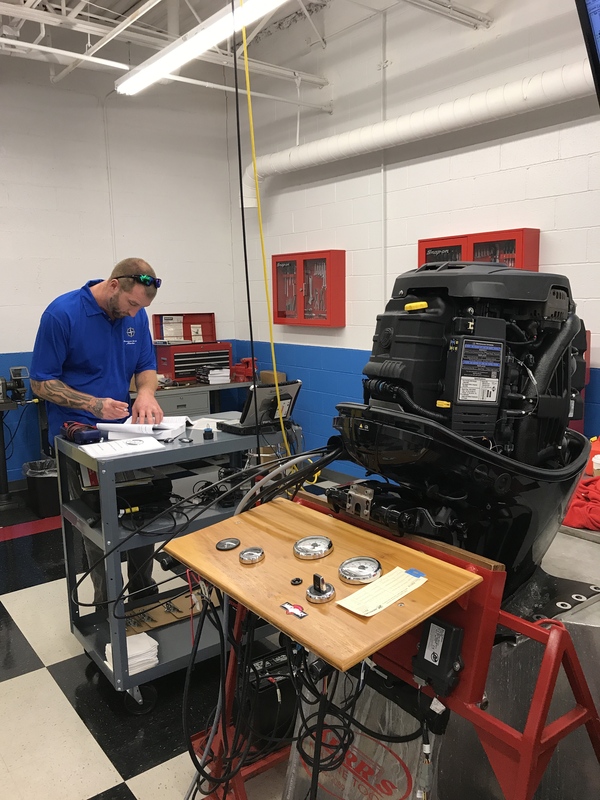 Installing a new 4 stroke outboard engine will bring new life and a new boating experience to your favorite boat. We don’t think twice about replacing an outdated GPS or stereo because their replacements make such a huge difference that it’s easy to justify the cost. Cost is a major factor in the decision to re-power, only not the way most people think. The biggest complaint we hear about boats is the engine isn’t running right and the customer is tired of sinking money into it and is seriously considering buying a new boat. WHAT??? Did you like the boat when it was running well? If the answer is yes, consider re-powering your boat. Have you looked at the cost of a new boat lately? An entry level skiff will set you back $45,000. For way less than half of that we can put a new motor on the boat you already loved. 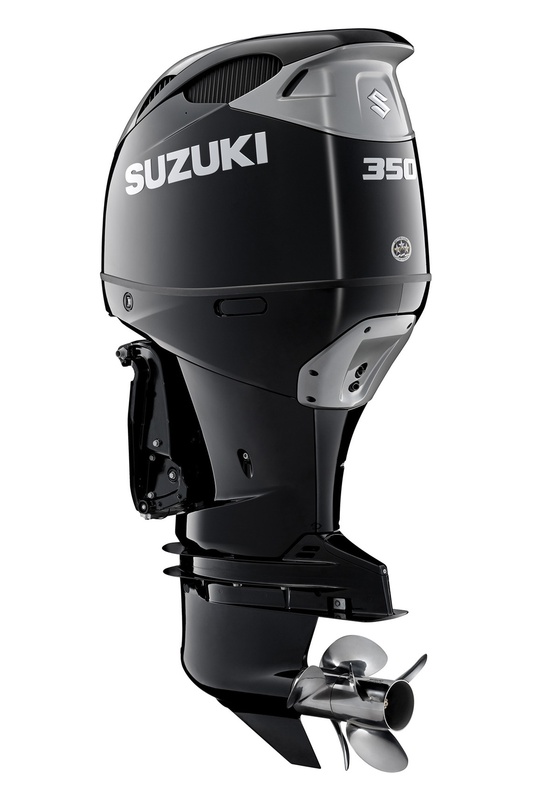 With a new four stroke Mercury or Suzuki outboard you’ll see substantial differences in terms of faster speed and better fuel economy. The four strokes will be so quiet you won’t hear them running. If you go with a fly by wire like the Mercury Verado which also has power steering, driving the boat will be easy for everyone in the family, not just the guy with the big forearms. 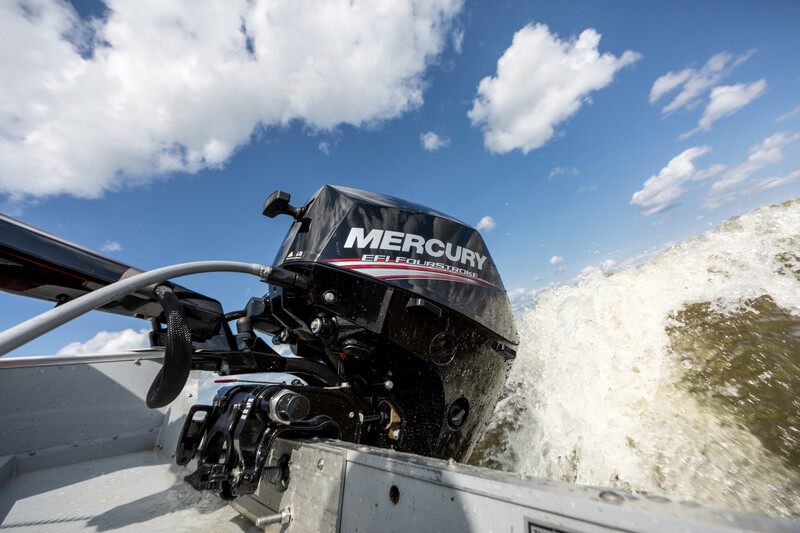 We re-power our rental boats every 3 years with Mercury and Suzuki outboards. 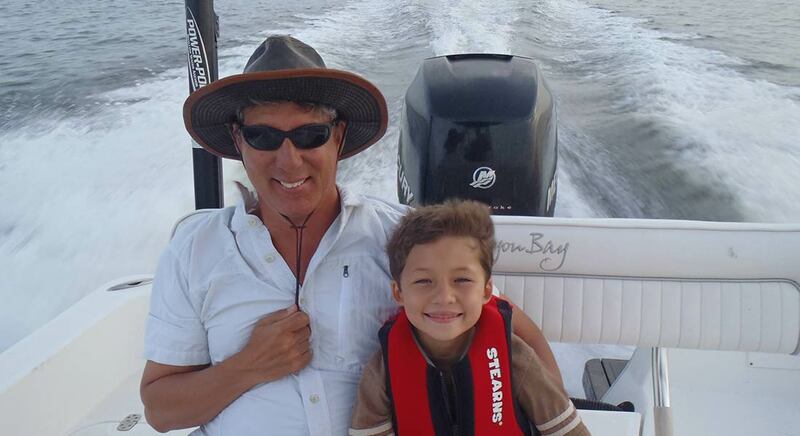 The cost is easy to justify; the engine, seats and steering are new and we save tens of thousands of dollars over buying new boats every 3 years. Don’t have the cash to buy an engine and were planning to finance a new boat? 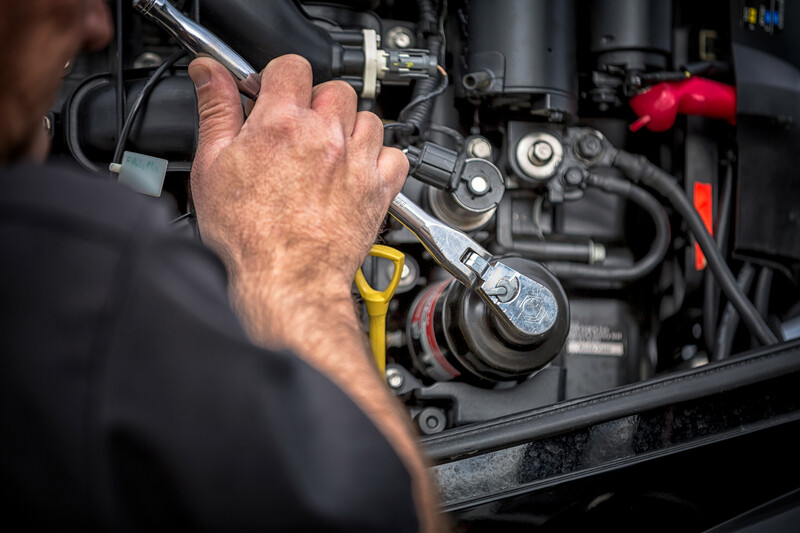 No problem, we have financing programs through Synchrony Financial and Wells Fargo to cover the cost of replacing the engine with easy monthly payments. 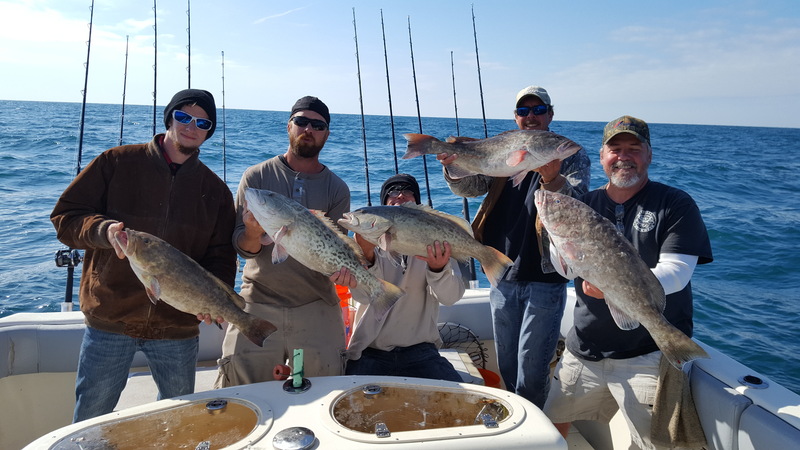 Schedule a Fishing Charter with one of our local guides. 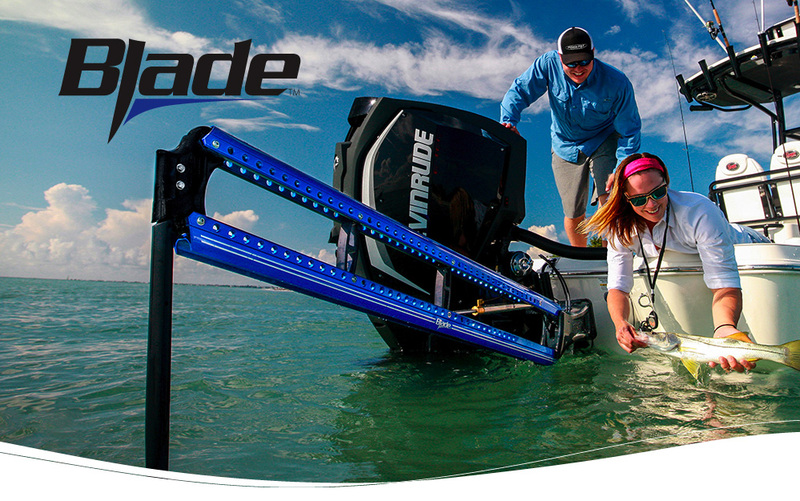 Inshore fishing is a year round activity. Whether we’re fishing inside one of the many rivers surrounding Homosassa or just outside the rivers at the edge of the Gulf of Mexico we have a dozen or more species of fish to target. 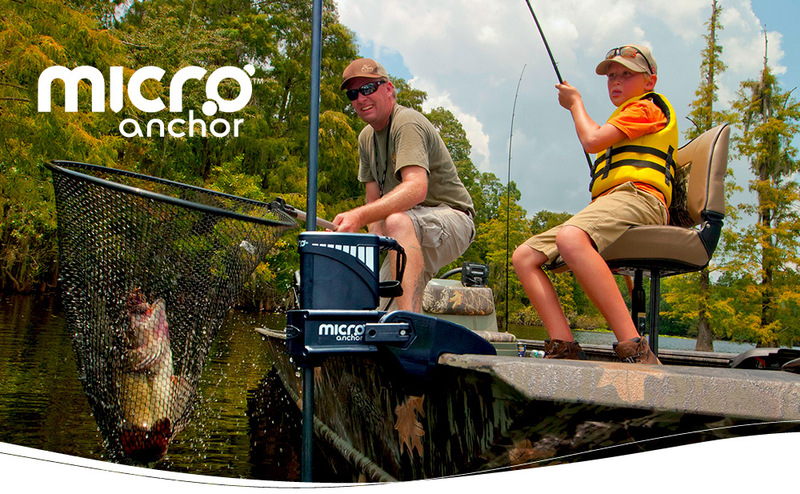 Fun for all ages, we use a variety of methods to target fish such as live bait, cut bait, artificial lures and fly fishing. For many species of fish we fish the tides and some times of the day our fishing holes are inaccessible so we move to a species that is not dependant on the tides to keep you crankin’ in the fish. 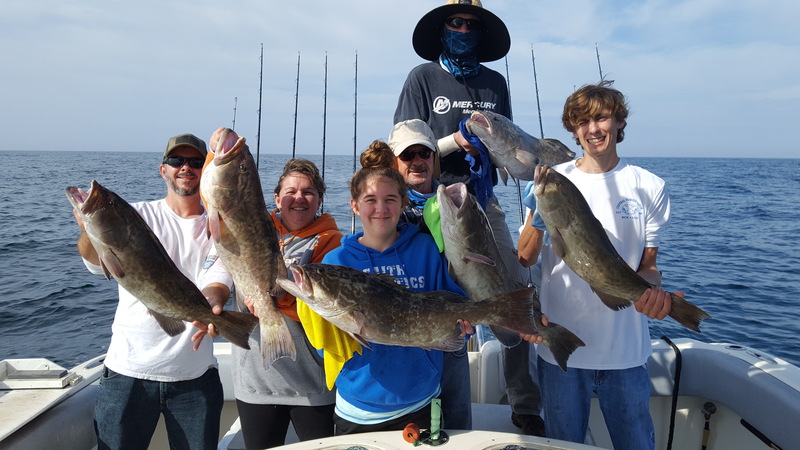 Depending on the conditions, we’ll fish for Redfish, Snook, Tarpon, Mangrove Snapper, Bass, Tarpon, Ladyfish, Jack Crevalle, Sharks, Trout, Spanish Mackeral and Sheepshead. Our inshore boats are rigged for shallow water, being either flat bottom skiffs, shallow drafting bay boats or an Airboat. On Offshore Charters we fish from 30 miles out to 120 miles offshore for the big fish. This is an all day trip and our Florida Middlegrounds Fishing Trip is a 36 hour overnight deep sea fishing excursion. We’ll usually bottom fish or troll and sometimes we can chum up some exciting fish to sight cast to on top of the water. With offshore fishing, you never know what you’ll get: huge grouper, tasty snapper, fighting kingfish, sharks, amberjack that’ll rip your shoulders off, triggerfish, grunts, lizardfish, spanish mackeral, sea bass, and on rare occasions sailfish and dolphin! We might be fishing in 30 feet or 130 feet of water using live pinfish, frozen sardines, shrimp, jigs or large blue runners. Our offshore boats are made for long runs in big seas and are equipped with the latest safety gear including life rafts and EPIRBs. Many of our offshore “grocery fish” are limited by fishing seasons, size and catch limits. We can catch as many as your arms can handle, but invariably we throw some back to be caught again another trip. Schedule a private manatee tour for up to six people to swim with the manatee. Winter Time is Manatee Season. Once it starts getting cold in Homosassa, the manatee migrate to the Springs where the water is 72 degrees year round. Though they were recently taken off the endangered species list, we treat them with care and respect so we can continue to enjoy the privlege of interacting with them in their native habitat. We host groups of up to 6 people on our private manatee tours which last a little over 2 hours. 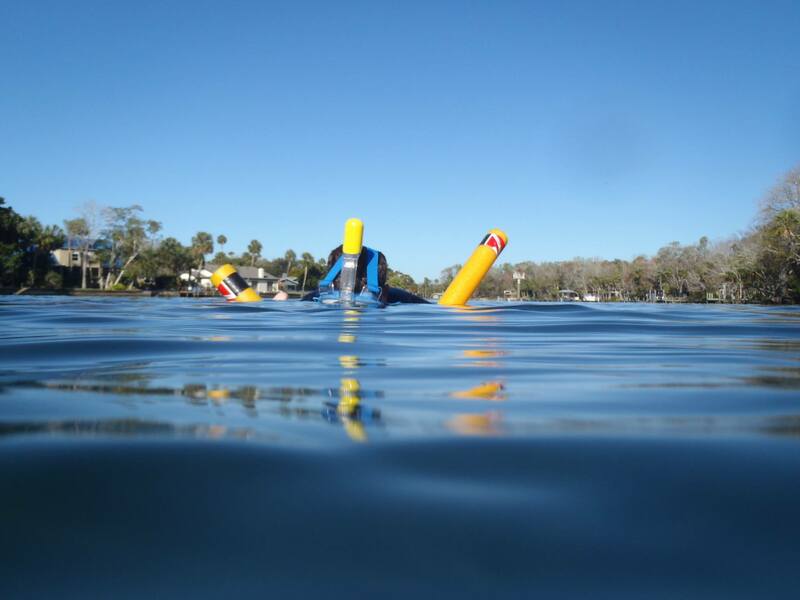 We are the closest marina to the Springs so you get more time in the water swimming with the manatee. Experience the thrill of an Airboat ride. Let's face it, much of the Homosassa River is shallow and quite a bit of the wildlife you like to see is hiding way in the back country that you just can't get to in a normal boat. An airboat will get you to places the majority of people have never seen. 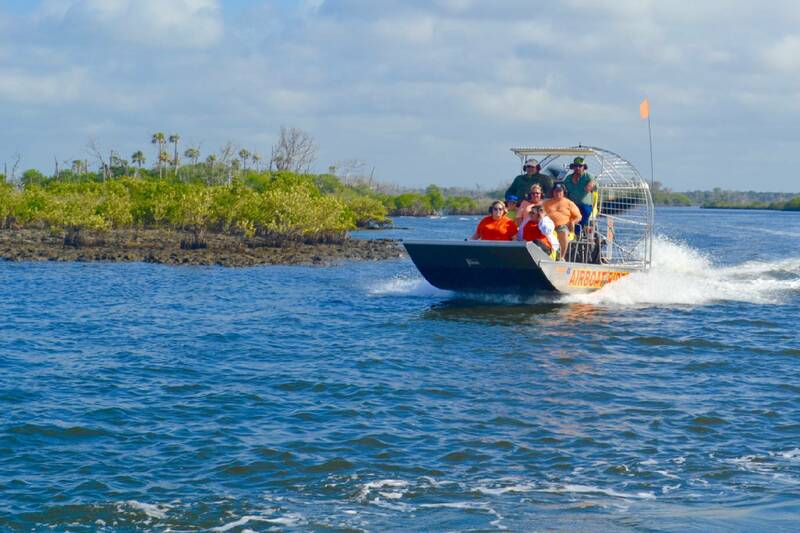 Our airboat tour is as thrilling and fun as it is sightseeing. The power of the engine is transmitted through your entire body and your heart is thumping at the closeness of the water, the speed and the sound of the ride as you slide over the water which may only be 2 inches deep and mere feet from the shoreline. 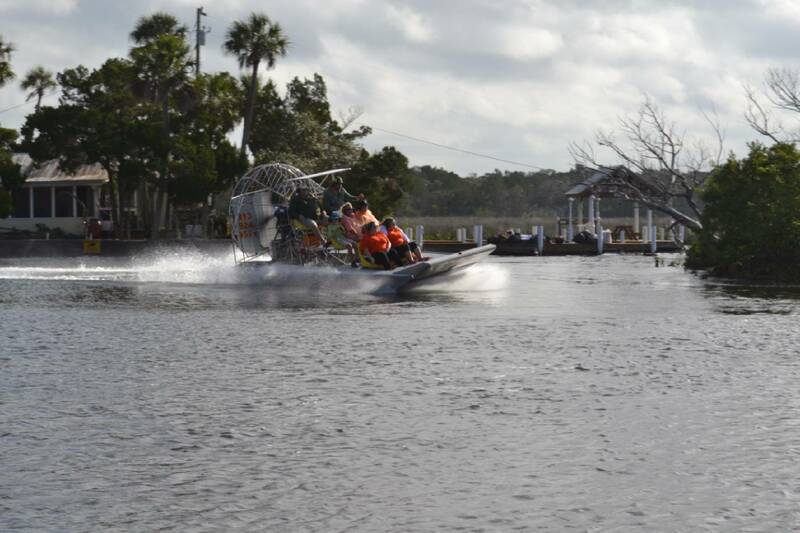 There are several airboat only trails that we ride or you may ask the captain to take you to specific parts of Homosassa that you've always wanted to see but just couldn't get to. About the only places we won't go are into residential areas. The boat holds up to six people and your tour will last about 75 minutes.